I hope it helps, and I’d love to hear your thoughts! Hey buddy, spare a Buck (Moon)? It’s almost time for the full moon for this month, also known as the Buck Moon to my friends in the US. Please feel free to stop by, spend some time and enjoy the company of likeminded people. EDIT – I’ll be arriving slightly earlier, so I’ll be there from 4pm US EST. Hope to see you there! Continuing the series, here’s some more information on how I see auras. Cut and clarity: what does it mean? Here’s the next video in the ongoing series of auras – here’s an explanation of how I see aura colours. Here’s the first in a series I’m doing explaining auras and how I see them. If you have any feedback, I’d love to hear it! Gratitude, challenges and 100 days of awesome! I don’t mind admitting that I’ve taken that idea and expanded it. I’ve created a list of goals/challenges/targets for myself over the next 90-something days (I started about a week or so ago), and – while I’d like to keep some of them private – I have no problem sharing two of them. 1) I’m committing to reading ten books in 100 days. While I’m a generally voracious reader, lately I’ve been simply coming home from work and just trying to de-clog my brain by watching my housemate play Nintendo 64 and then going to bed. He’s redoing Zelda: The Something of Something for the first time in a decade and it’s been nice to just chill and watch him play, but it’s not helping me learn or grow. I’m also not talking about little 60 page booklets, I’m looking at 10 300+ page books. What are some ways you keep yourself motivated and focused on moving forward? Little challenges like these, or long-term goals, or do you just flow where the Universe takes you? 1) The voice in your head that’s telling you that you can’t is simply afraid that you will. This project has had me using skills that I one briefly acquired about 15 years ago – I’ve had to re-learn a bunch of things, work with them and build on my minuscule amount of knowledge to find out what’s working and what isn’t. 2) Trust your guides. The fairies actually came through strong on this one. I went to sleep one night, not long after I started. I didn’t know what the project would look like, how I would get it to work, anything. I asked for guidance, and woke up in the morning knowing it EXACTLY. To the best of my knowledge, I’ve followed that guidance as closely as I can. I could get frustrated and overwhelmed by this, then quit – which I’ve done in the past – or ask for help. Luckily, I chose the second option, and some dear friends of mine have been able to come through with guidance and assistance where needed. 4) Routines can be good and bad, and you can change one to the other. In the last month or so, I’ve gotten into a good morning routine before work. I get up and meditate for 10-15 minutes before getting ready for the day. It helps calm me and quiet my mind, which is a wonderful feeling. Another good routine I’m getting into is running again. I’m once again feeling more healthy and I enjoy being outside in the fresh air. A routine I need to work on is my eating habits – lately I’ve been taking the easy way out when it comes to cooking, and it’s undoing the positive strides I’m making with running and exercising. My goal isn’t to lose 10 kilos or to get a six pack, it’s simply to be the best me I can be, because the better I feel and the more connected with my guides and angels I am, the more I can help people. Additionally, here’s something else. I often talk about how the universe wants to help, and your guides will help when asked. I’d like to give a massive shout out to the angels that watch over my for keeping me safe this weekend. I was on a road trip with a mate to the coast, and the weather’s been pretty awful the last few days. The angels helped me out by giving the car treatable mechanical issues in the morning (yes, it took me an hour and a half to fix, but it meant that I was on narrow, winding roads in the afternoon when there was less traffic around) and when we came back we almost ran out of petrol. I’m not kidding, we were on vapour for the last mile or two. Thankfully, there was a downhill slope so we could coast into the petrol station, but for the ten minute drive from my friend’s house to the petrol station, I was behind the wheel just asking the angels for help repeatedly (I was driving my Mum’s car – with her knowledge – but I didn’t want to run out of petrol, that’s Driving 101!) After this weekend (and especially this afternoon), I’m convinced that the angels were actively looking out for me. In fact, I’m of the opinion that they may have been behind the car, pushing it along to help me get to the petrol station. Regardless, thank you to my angels and guides for keeping myself and my friend protected and safe as we drove. So where to from here? Well, the project is almost at the final stages, and I’ve learned that you should treat petrol stations like toilets – go when you get the chance, because you may not always get another before it’s too late. So onward and upward, and let’s keep doing wonderful things! * No elephants were actually harmed. If you want to be a king or a queen, don’t forget your crown chakra! The seventh chakra is our spiritual link – it allows us to be fully connected in spiritual matters. It’s located at the very top of the head, and when aligned properly we are able to experience the beauty of people we meet (on the inside as well as the outside), we feel connected to our sense of spirituality and we find pure bliss. The crown chakra is a violet colour (similar to the indigo of the third eye chakra, but less blue, more red in tint) and can be cleansed and repaired by meditation and running/cardio exercises. Sugalite (helps connect to cosmic consciousness, this give emotional nourishment. 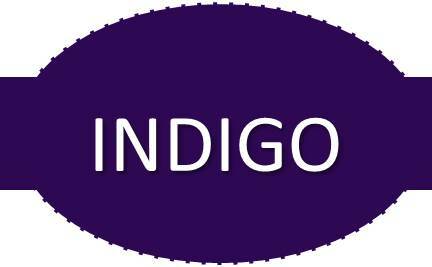 (Indigo is an aura colour that would essentially mean the same as violet for me – angelic protection). This is where being a guy is difficult – I’m like an old-school computer monitor, in that I only see a set amount of colours with regards to auras. Indigo and violet all broadly fall under “purple”. Clearing your Third Eye chakra? Don’t Indigo crazy! Indigo is a great colour to see. Aura wise, it relates closest to the dark/deep purple I see that represents angelic protection. I interpret it to mean that the guides and angels around you are keeping you safe and keeping you attuned for their messages. When focused on the chakras, indigo shows up in the third eye. Located between the eyes, this chakra relates to our ability to focus on the big picture. It deals with our intuition, imagination, wisdom and ability to think & make decisions. The third eye chakra can be cleansed by eye exercises, purple coloured fruits (grapes), lavender flavoured spices or tea and (my personal favourite) chocolate. Essential oils that help heal the third-eye chakra are star anise, lavender, eucalyptus and rosemary. Gem stones that work best to heal and stabilise the third eye chakra are Azurite (which helps awaken psychic abilities and provide insight. It helps the flow between chakras and helps connect us with our spirit guides) and Lapis Lazuli (which assists in past life recall and releasing karmic debts). Blue is a gorgeous, comforting colour when it comes to auras. I see it in two shades – light and dark. Light blue is this beautiful positive masculine energy. I interpret it as being about nourishing your inner sense of childish play, going out and having physical fun. It’s indicative of a lot of love and good vibes. Dark blue immediately conjures up floating peacefully in water, all your cares and worries washing away. It’s a great indication of physical balance and harmony. 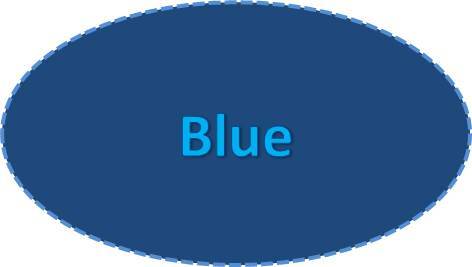 In the chakras, Blue relates to the Throat chakra. It shows our ability to communicate, and the areas of truth, communication and our self-expression of feelings. To help heal the chakra, singing and chanting are excellent exercises, as well as drinking juices & teas and all kinds of fruit. Frankincense is a wonderful essential oil to help with any problems with the throat chakra, and gemstones that work wonders are Blue Sapphire (which help to align our truth and bring it into the world); Blue Topaz (bringing the body, mind and spirit into union) and Sodalite (this is a stone of truth – it increases knowledge, learning and intelligence).